Because of its long battery life, compact and sleek design, powerful hardware, excellent display, and over two million curated apps, the iPad Pro is suitable not only for leisure — but also for serious productivity. The only problem is that it doesn’t come with a physical keyboard. Fortunately, Apple has intended the iPad Pro to be a laptop replacement, and therefore has intended it to be used with a Bluetooth keyboard. Unfortunately, the iPad Pro doesn’t come with a Bluetooth keyboard — that’s all sold separately. 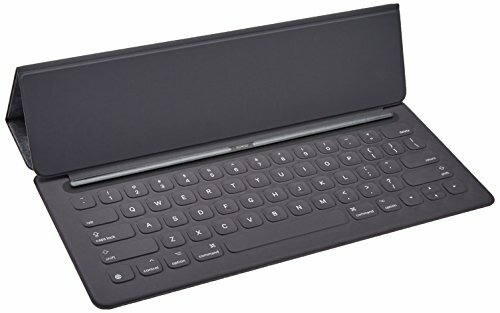 Apple makes some for the iPad Pro directly, but many accessory makers are also crafting Bluetooth keyboard cases for the iPad Pro. Want to pick up one for your iPad Pro? Here are seven of our favorite choices available today. You know just how pricey the iPad Pro is, and taking it on the go might make you nervous as far as accidental drops, accidents, and spills go. That said, you might want something that’s a little more rugged. Enter, the ZAGG Rugged Book — an iPad Pro Bluetooth keyboard case that will offer you all-around protection. It’s essentially a multi-layered, removable case that deflects impact energy to keep your iPad Pro safe no matter where it goes! They keyboard itself is detachable, so you can use it whenever you want, or take it off when you don’t want to use it. It has a backlight for typing and working in the darker hours as well. In second place on our countdown, we have something with a little more professional style — the Fintie Keyboard Case. If you’re looking for something that can give you some professional style during a meeting or at work, this case will be right up your alley. You get a durable PU leather cover as well as an anti-slip case that keeps your tablet safe. There’s a layer that’s made out of premium polycarbonate, which not only locks your tablet in place, but absorbs the damage from drops and bumps, too. And, as you can imagine, there is a keyboard case that connects up over Bluetooth. Apple’s own keyboard case works with all sizes of the iPad Pro—from 9.7 inches to 12.9 inches—and it provides a comfortable keyboard to type on and a durable cover for day-to-day protection. 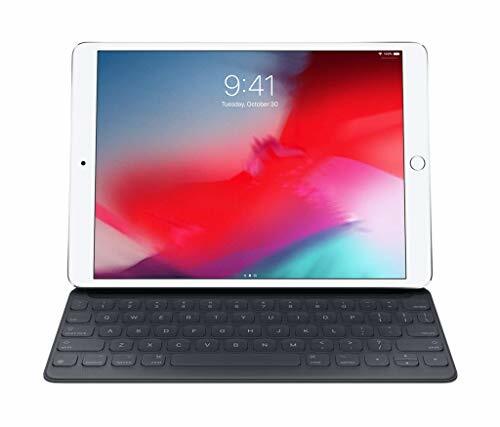 Perhaps the best about this keyboard is the fact that it takes advantage of Apple’s Smart Connector technology, which allows it to seamlessly integrate with the iPad Pro without Bluetooth pairing. You can simply attach it and start typing. Unfortunately, typing is also where the Apple Smart Keyboard falls short as it has a very short key travel distance and isn’t as responsive as we would like it to be. We don’t want to say that the keyboard is bad for typing. Just don’t expect it to rival your mechanical keyboard or even most standard scissor-switch laptop keyboards. 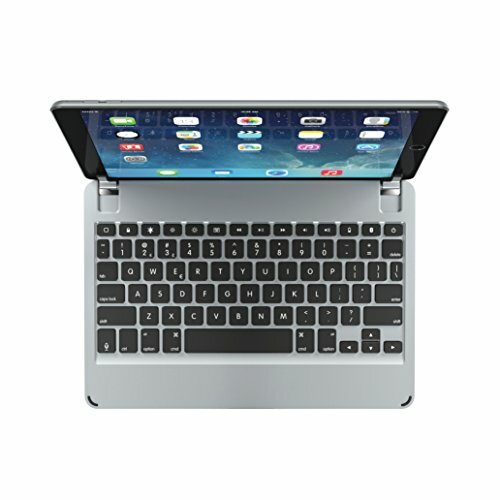 Just like the Apple Smart Keyboard, the Logitech iPad Pro Keyboard Case connects directly via the Apple Smart Connector and is powered by the iPad Pro. 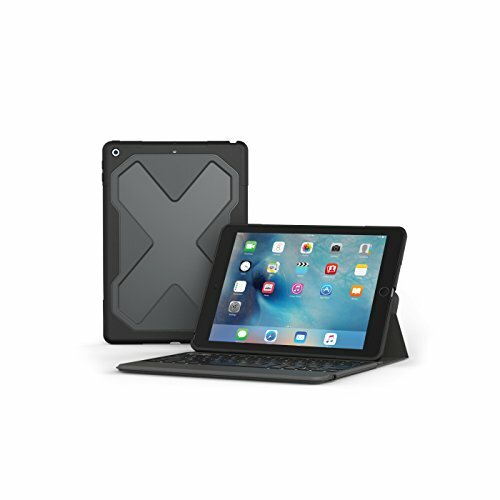 Logitech designed this case to be compatible exclusively with the 12.9-inch iPad Pro, making sure that sound can escape the iPad’s four speakers through precise cutouts. The keys have 1.3 mm of key travel, which is equivalent to most laptop keyboards. The keys are backlit, and you can change the level of backlighting, or turn it off entirely, with a keyboard shortcut. Unlike Apple’s own case, this keyboard case from Logitech provides excellent protection against damage from all angles with its anodized aluminum body covered with a premium woven fabric that repels water. 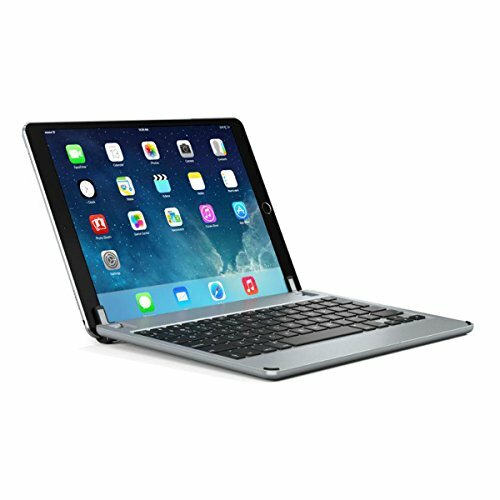 Compatible with the 10.5-inch iPad Pro, the Brydge Keyboard Case can transform the iPad Pro into a compact laptop. It has a high-grade aluminum body with strong hinges that allow you to set your viewing angle anywhere between 0° and 180°. The ability to adjust the angle of the iPad Pro in relation to the keyboard is essential if you would like to do any extensive typing on it all. Without it, your neck is guaranteed to become sore after a while. The Brydge Keyboard Case has keys with 1.2 mm of key travel, and it provides 3 levels of backlighting to meet your typing needs at any time of the day. A dedicated row of keys controls various special functions of the iOS operating system, increasing your productivity even further. The ZAGG Keyboard Case has a snap-on protective screen shield that keeps the front of your iPad from being damaged while traveling. 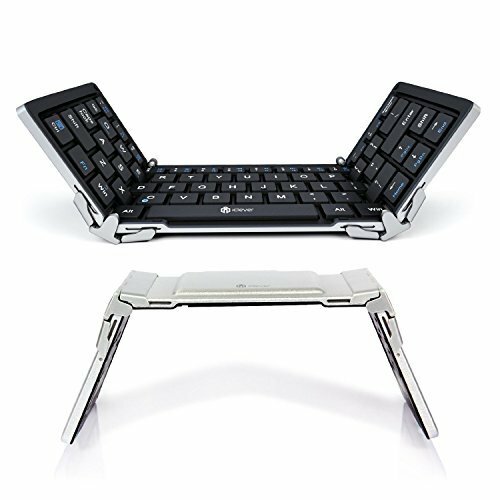 It also features a convenient magnetic stand with multiple viewing angles for comfortable typing and media consumption. 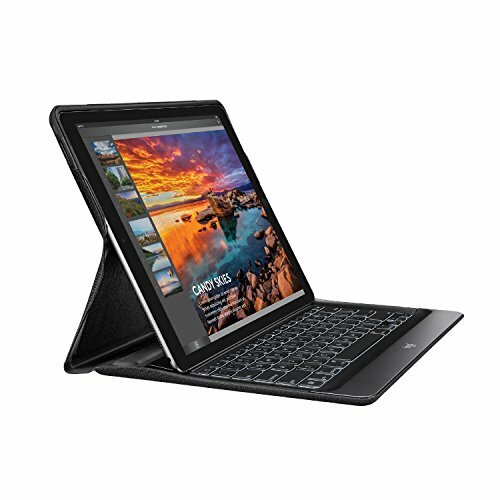 The ZAGG Keyboard Case connects via Bluetooth, and it can be paired with up to two individual devices at the same time with multi-device Bluetooth connectivity. You can then switch between the two connected devices with the press of a button. The ZAGG Keyboard Case has its own battery, which can last for up to two years (yes, years) between charges. This iPad Pro keyboard doesn’t double as a case, but it’s so affordable and compact that we couldn’t resist including it on this list anyway. With its weight of just 6.3 oz and support for all iOS devices, the iClever Foldable Bluetooth Keyboard is perfect for all avid typists who never know where and when the muse strikes. The keyboard has a durable aluminum construction and premium finish. Typing on it barely produces any sound, allowing you to work anywhere without disturbing people around you. Besides iOS, the iClever Foldable Bluetooth Keyboard is also compatible with Android and Windows. 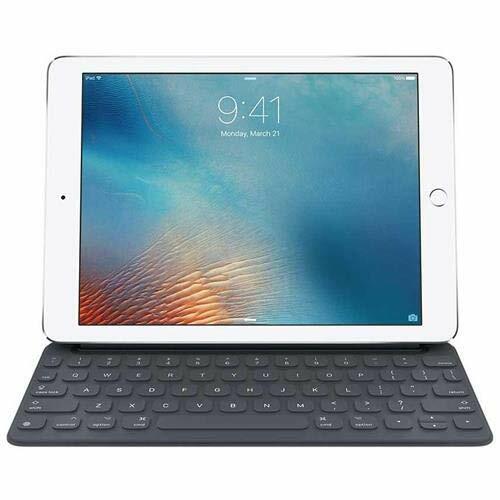 Here we’ve shown you a variety of Bluetooth keyboard cases for the iPad Pro, and keyboard cases that accommodate varying sizes and models of the iPad Pro. That said, these seven cases with provide you some better functionality with the tablet, allowing you to much easier type up documents, essays, and more. What’s your favorite way to transform the iPad Pro into something with laptop functionality? Sound off in the comments section below!